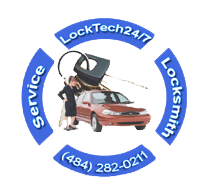 Car lockout in Bethlehem PA is our one of the most popular and fastest locksmith services. Our automotive locksmiths are highly skilled and trained to open any car door, whether SUV, van, or truck. Locking yourself out is one of those frustrating moments nobody wants to experience. Locking yourself out of your car can ruin your entire day, especially when no one is available to take your call. This is not the case with us. For the purpose of providing efficient emergency locksmith services, we always answer the phone, no matter if you call, day or night. If you think for a moment that you’re the only one who lock himself out of his car? The answer is: No! When a car lockouts scenario happen, we’re here to help. With us, you’re just a couple minutes away from unlocking your car, safely. We’re fast and reliable automotive locksmith services at a fair price. We do not charge extra for emergency lockout services, nor charging extra on weekends and holidays. You can rest assure after you calling us for help, we will be there within 20 minutes. Wherever you are right now in the Lehigh Valley, we can be there with you, in a matter of a short time. Not only we cover the entire Bethlehem City and Metropolitan, but we also cover the entire Lehigh Valley, and beyond. As you can see above, we provide a full suite of local locksmith services and auto lockout services, but not just. In fact, we provide a full suite of automotive locksmith services. In other words, we do it all. We provide any auto locksmith service. Our locksmiths open any type of vehicle brand and model, as well as making car keys on site, including programming auto keys, and repairing ignition locks. When you lock yourself out of your car, need a new car key replacement, or repair an ignition lock, you can get reimbursed by your car insurance. Yes, this is right, it call “Roadside Assistance.” However, you don’t need to pay deductible and it doesn’t effect your policy, anyhow. Automotive Lockouts – We unlock all car brand and models.